I took Emmett out of school a little early last week. 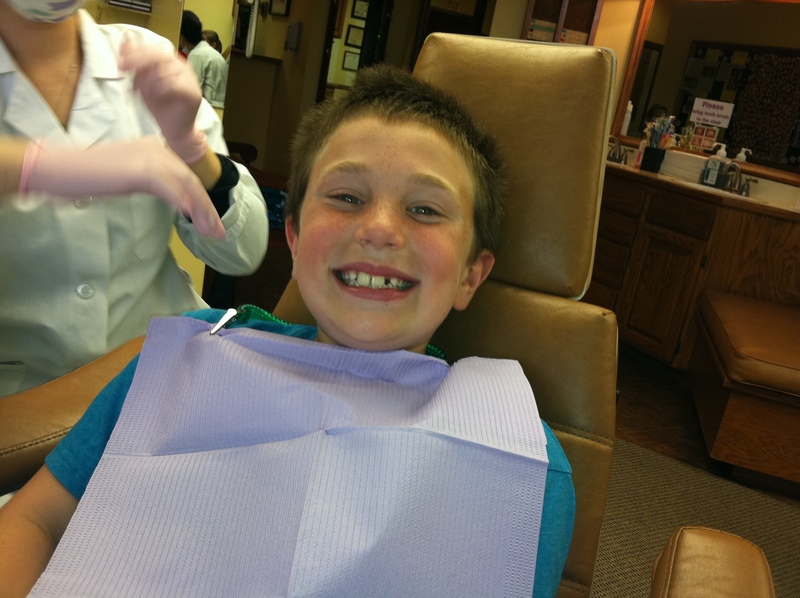 We were heading to a major orthodontist appointment: At long last, he was getting an expander. “It breaks your jaw,” his father explained to him last week, smiling wickedly. I blanched and gave him an “are you insane?” look, but Emmett’s into gruesome-ness, so he was okay with that. Have you seen these contraptions? They attach with rings around a top molar on each side of the mouth, with a metal brace kissing the roof of the mouth. We have to crank it wider, about a millimeter or two, twice a day, so that our baby’s jaw will spread out and make more room for his huge teeth, also courtesy of my husband. Meals and snacktime are now accompanied by repeated “chaack!” sounds from Emmett’s throat as he tries to clear food out of its tangled wires. This expander has felt like It’s been a long time coming. His older brother Aaron had one in the third grade, three years ago, and since then Emmett knew his day would come. He mostly looked forward to the day or two of pudding and smoothies and jello that would accompany it. Now the day was here. We crossed the empty schoolyard, Emmett’s pace slowed. He was nervous. He spoke then, so quietly that I had to lean down and cup my ear to hear him. He answered without looking at me, looking straight ahead into his future. I don’t tell you this because it’s cute or charming or precocious, but because my gut sank so deeply when I realized, he was dead right. I took his hand and walked through the school door, on our way to the next thing.